A beautifully designed and crafted bracelet centering a line of graduated rectangular step-cut and round brilliant diamonds, surrounded top and bottom with pave-set diamonds elements, and graduated articulated links channel-set with round brilliant diamonds. 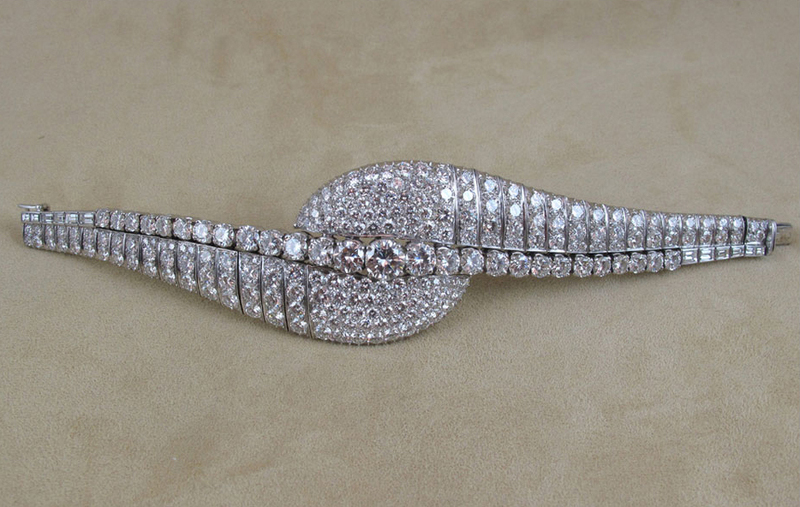 The bracelet contains approximately 38cts. (total weight) of diamonds, set in platinum. The diamonds appear to be, on average, in the "G" range in color and the "VS" range in clarity.